Here's a little glimpse of what the father in our house will be getting on Sunday. A collection of "Pop" items! 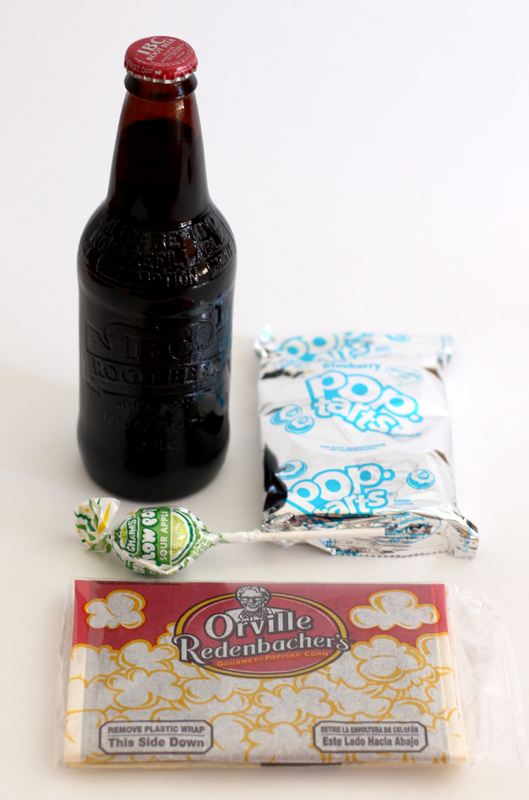 Soda Pop (IBC Rootbeer), Popcorn, Pop-tarts, and a Blow Pop lollipop. Wrap it all up and throw a ribbon on it, and there you go. 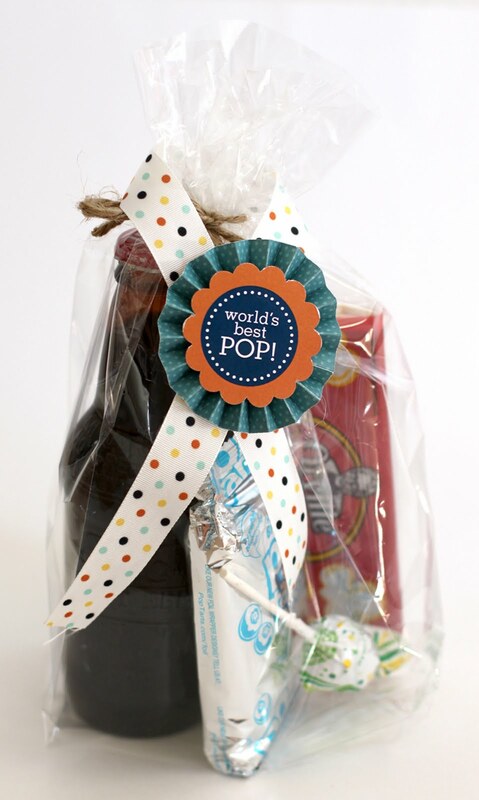 A sweet little treat for your special Pop. I like the POP theme. That's great!!! What a great idea so simple and inexpensive.